Having a class once a week is great. You have to muster through material that may or may not apply to your daily life just once every seven days. The problem? They’re not 90 or even 50-minute classes; they’re four hours. While most classes are divided up weekly for shorter times, classes once a week are almost distressingly long. Most students have an attention span of about 15 minutes. How can they possibly make it through more than two hours? 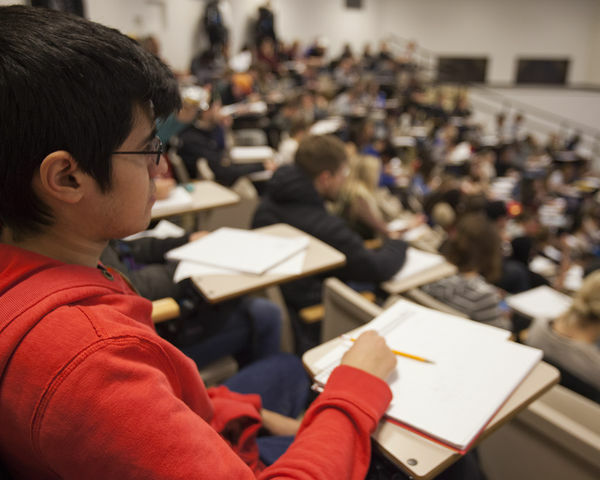 An article published by Opencolleges.edu entitled “The Science of Attention…” claims that while students may have an attention span of only 10-15 minutes, their attention is often based on factors of motivation, emotion and the time of the day. Predictably, night classes are harder to get through than you think. So what are the benefits of longer classes? They’re only once a week, giving you more time to take other classes and manage your responsibilities, whether that means working multiple jobs, having more time for homework, spending more time with friends and family, or pack on more classes. Once-a-week classes can benefit a student’s lifestyle schedule. Another benefit posed by The New York Times in an article entitled “Longer Classroom Periods Test Tradition” states that longer class periods have more room for “meaty discussions.” While this statement can be true, the subject and teacher presenting the information must be factored into the equation. I once had a class that was so boring I could have at any moment broken down in tears, but I’ve also had longer classes where time flies by due to how well the instructor structured the class. Breaks and movement are important when it comes to long discussion classes, since hard plastic chairs are certainly not the standard of comfort. While longer once-a-week classes may pose a compacted period where you could potentially squeeze even more things into your day, if you’re spending that time zoning out and failing to focus on the material, you may just as well have spent those hours sleeping in a quiet section of the library. I have spent entire lectures counting the tiles on the wall of the classroom, nearly forgetting my name or the day’s subject matter. While it is nice to only have a class once a week, long drawn-out lectures are not my cup of tea. If I could give a recommendation to professors who do teach longer once-a-week classes, I’d pleadingly ask that they be cool about it. Give the information in an engaging way, let there be one or two 10 to 15 minute breaks and don’t under any circumstances have a ‘no coffee rule.’ Students are human, and anything past two hours can be simply torturous unless the professor puts in a decent amount of thought, effort and fun.